HP is seeking to take further advantage of the burgeoning software defined networking (SDN) market by acquiring ConteXtream. The brunt of the deal, the terms of which have not been disclosed, concerns ConteXtream's SDN controller for Network Functions Virtualisation (NFV) that allows software-based services to replace hardware reliant functions. ConteXtream main function is to provide OpenDaylight-based SDNs for service providers. NFV, meanwhile, works by allowing software-based services, such as load balancing and firewalls, to take the place of the current hardware-dependent Layer 4-7 functions. HP has been working with ConteXtream for a while where it has been a member of the former's OpenNFV ecosystem. NFV is an area in which HP has been experiencing a lot of growth over the past few years and it's projected this position will be worth $11 billion (around £7.2 billion, or AU$14.3 billion) by 2018. Work with the OpenDaylight community won't abate either, HP admitting that it will continue to contribute key ConteXtream capabilities to the community to help speed up the delivery of an open source-based, carrier-grade SDN controller. 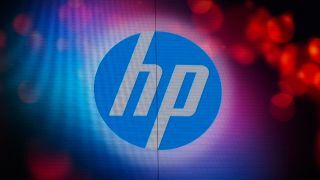 Once the deal has closed in the third quarter, ConteXtream will be absorbed by HP's Communications Solutions Business where the firm's CEO, chairman and founder, Nachman Shelef, will lead the business. The NFV market is a part of the wider SDN market that IDC expects to increase by 733% from $960 million (about £578 million, $1.03 billion) now to more than $8 billion (about £4.82 billion, AU$8.60 billion) by 2018.